to build again on salvation’s foundation. having been rescued and carried over. to swing out-ward-wise. Maybe they will come in? all the children of the Lord. believer or no (it is not mine to judge). 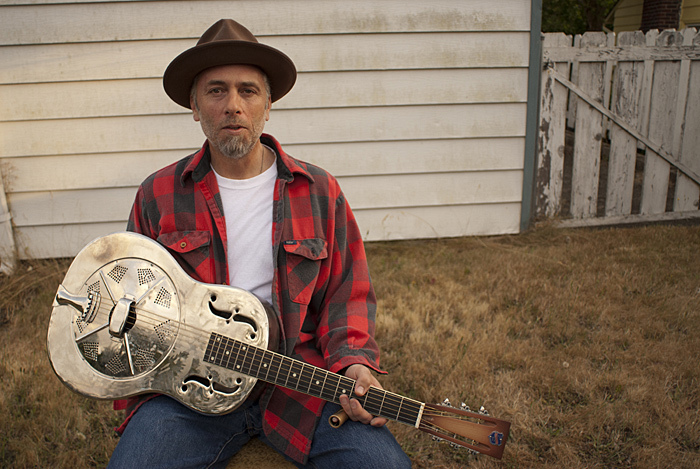 Kelly Joe Phelps has just recorded what must be the album with the most explicit lyrics about faith from a regular artist since Bob Dylan’s Slow Train Coming. The music is sublime, with the syncopated picking we’re come to expect from Kelly Joe and some tasteful bottleneck slide, all delivered with bluesy or folksy songs, full of melody, feeling and considerable…well, grace. 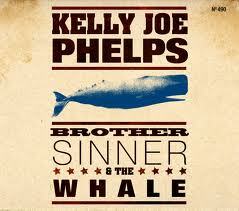 Kelly Joe’s singing is soulful and moving throughout and overall, there is the impression of someone who has discovered a rich vein of creativity and enthusiasm for life. 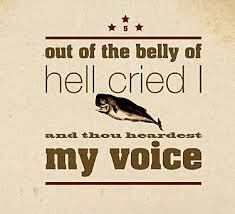 The album, Brother Sinner and the Whale, is notionally inspired by the biblical book of Jonah, although only one song (one of two wonderful instrumentals), explicitly refers to the Jonah story (in the title – Spit Me Outta the Whale). Jonah, just to jog your memory is the book in the bible where Jonah the prophet of Israel is asked by Israel’s God to go and preach in the capital of the Assyrian nation, Ninevah. Jonah balks at this and runs away, taking refuge in a ship. A terrible storm comes and Jonah, knowing it is God come after him, in order to save the lives of his shipmates, throws himself into the sea, only to be swallowed by a huge fish, which subsequently vomits Jonah safely onto dry land. Whereupon Jonah heads to Ninevah to deliver God’s message. The story is a rich one, speaking of God’s providence and God’s love to all, and not just one group of people. And then on Down to the Praying Ground, we get “So many years, dead on a hollow road” – but mercifully, “Holy might has grabbed hold of my soul for God”. In a recent interview, Phelps said, “ I’d arrived at a place where I was sinking. I had to do something or my head was going to blow up or my heart would stop”. Not that faith means that “life is going to stop being hard or even change in its intensity. It means that your focus is shifting in how you’re going to handle it or how you’re going to understand it. Very few things are ever likely to change overnight.” Aptly illustrated by Hard Times Have Never Gone Away. But even in this song, hope shines through at the end – even though “heartache and sadness…count on defining their lives by my past”, Phelps looks for redemption, “Come now, Great Redeemer; heal me up at last”. The sense of God’s care and providence shines brightly through the album – Hope in the Lord to Provide has a quiet assurance of God’s care and hope for the “promised land”, no matter if some days there’s “nothing to stop my going down”. And then there is Phelp’s glorious re-working of that well known old Welsh hymn, Guide Me O Thou Great Jehovah which promises the guidance of God’s “powerful hand”, protection by “my strength and shield” and safe passage to Canaan at the last. Gospel blues have been a constant thread through the blues since the days of Blind Willie Johnson. Phelps has given us a masterful, thoughtful, and joyous addition to that canon. Lyrically and musically it’s probably the best album he’s made, fully of beautiful, stirring melodies, impeccable guitar work and gorgeous singing. This is album to play if you find yourself in need of a little inspiration – or, indeed, just love good music.